Bulging tummy and love handles concerns women and men as much as the thick thigh worries models. A lot of body contouring procedures is available in the market. Cool tech is a recent addition to the body sculpting methods. Cooltech melt away the unwanted body fat deposited by the use of a guarded freezing system. Belly fat, love handles, and fatty thigh is common. Besides this, fat is mostly deposited on the chest and back in men. Women tend to have fatty upper arms, bra roll area, and waist. It can also treat double chin. The process improve aesthetics. It is motivating to see bulging fat disappear. Note: Dr Puneet Goyal, MD again the new technology - the Cooltech 1st time in Jaipur( Rajasthan) at Renova Skin Clinic. Reasons to use Cooltech Cryolipolysis ? Sometimes a person with a sculpted body still has fat deposits in certain parts. With the introduction of Cooltech Cryolipolysis, these people can remove excess fat from the small area. Thus the treatment’s localized behavior make it preferred choice. It is safe and non-invasive. Because of this, the patient can easily drive home or party alone after a Cooltech session. It was introduced by Australia in 2016. Cooltech Cryolipolysis treatment is based on the principle of susceptibility of adipose tissues against temperature. The technology emerged as the competitor to coolsculpting. The patient may need multiple sessions to get rid of fat. Rigid fat may require more than three sessions while most of the times 3 sittings are enough. These sittings are repeated in a break of 6-8 weeks. Each treatment session may stretch up to 70 minutes. 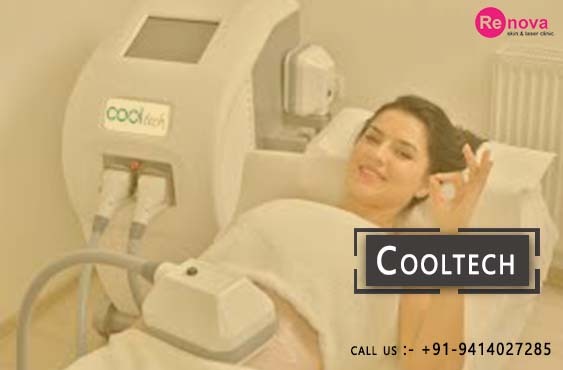 Many times Cooltech has deemed an alternative to liposuction. The difference lies in the target area. Liposuction targets a larger area and is a surgical procedure. Cryolipolysis is more focused and marks a small area. What is Cooltech Cryolipolysis Procedure ? The Cooltech device is a home vacuum cleaner type device. The inner chamber is installed with two cooling panels. The affected area is encapsulated in vacuum applicator panels. The Cooltech device blasts the cool air on the subcutaneous fat layer of the skin. Fat cells are more vulnerable and are easily smashed by cooling than skin cells. The temperature in the vacuum applicator is extremely low, up to -8Cº and is adjustable. This controlled freezing results in cell death (apoptosis). The frozen adipocytes (fat cells) are subsequently flushed out from the body by the lymphatic system. It should be performed by an expert skin-specialist. What results to expect after Cooltech treatment ? •	You can continue normal chores soon after a cooltech session. No recovery time is needed. Cryolipolysis possesses no or minimal risks like scarring and infection. Yet the process is pain-free, some might feel a mild haul. 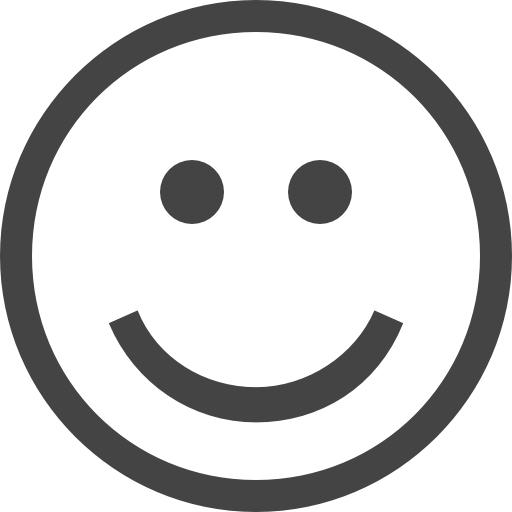 The patient may experience numbness in the treated area. It may take almost a month to disappear. Other side effects may include diarrhea, sense of fullness, reddening, and itchiness. Paradoxical adipose hyperplasia is a serious side effect which is rare. What areas can be treated with Cooltech Cryolipolysis ? Any body part that has excessive body fat can be treated with Cooltech Cryolipolysis. Some of the body parts like stomach, back of the arms, thighs, and buttocks can be treated. Is Cooltech Cryolipolysis Painful ? No, the Cooltech Cryolipolysis is not painful. What are possible risks & Side effects of Cooltech Cryolipolysis ? •	Pain, stinging or aching at the treatment site. •	Temporary redness, itching, swelling, bruising and inflammation. •	Tugging sensation at the treatment site. How much of an improvement can I expect after fat cooling with the Cooltech ? Under the procedure the fat cells are frozen and gradually within a few weeks, they break down. About 25%-30% of fat area is reduced after the treatment. How many follow-up sessions are needed for Cooltech Cryolipolysis and why? About 1-3 sessions one time for same area every 6-8 weeks. With repeated sessions, the body may eject cells completely leading to fat reduction. How long do results from Cooltech Cryolipolysis last ? The results can be observed after 3 weeks and will take about 3 months for complete recovery. The treatment can be repeated after 2 months or 4 months depending on the results. Is there an age limit to undergo the Cooltech Cryolipolysis treatment ? The treatment is good for anyone above 18 up till age of 65 years. Who are the best candidates for Cooltech Cryolipolysis ? How long does Cooltech Cryolipolysis treatment take ? Each area of the body needs about 60 minutes of cooling. Can I bath after the treatment and after how much time ? Hot water/steam baths are strictly prohibited after the Cooltech Cryolipolysis treatment. Take about 24 hours gap before you take bath. Pre and Post Cooltech Cryolipolysis Treatment instructions? During the procedure, the patient may observe some deep pulling and pinching effect. But these effects will reduce when the body part goes numb. Yes, the treatment is for both men and women. Excellent service &great results of cryolipolysis cool sculpting at renova skin clinic, Jaipur.Lost 4inches on my abdomen n 2 inches on thighs. I strongly recommend it for this treatment. My double chin vanished n gave me clear jaw line. Tons of thanks to reniva Skin Clinic for bringing cooltech Cryolipolysis technology in Jaipur. After going through his cooltech treatment reviews, I went to doctor Puneet Goyal at his renova skin & laser clinic for fat removal. Center is clean & have decent staff who takes care of their clients. Almost 25% Fat reduced after taking care of diet also. Happy with results.